One of the hottest technologies going right now is the Unmanned Aircraft — also known as UAV (unmanned air vehicle), UAS (unmanned air system), or “drone” as labeled in the popular press. 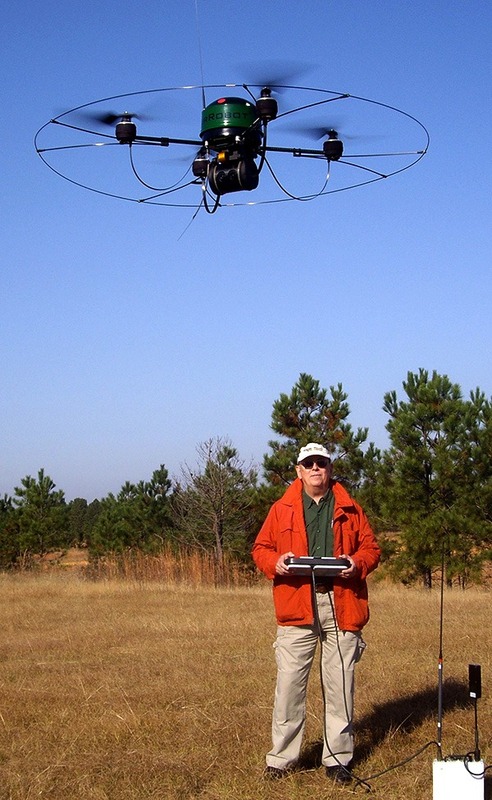 Once strictly a military asset, commercial UAS have become more common in recent years. They offer a multitude of benefits to police, fire, EMS, and other first responders who need the overhead view of a site. This is readily available to departments with helicopter units, but what about the other tens of thousands of departments without the million-dollar budgets required for a helicopter? Enter the small UAS—much less costly, transportable in a response vehicle or even the trunk of a patrol car, ready to deploy on site quickly. Some require a highly trained specialized operator and others are simple enough for anyone to use (with a little training and practice). Sound attractive? Well, there are many manufacturers that would like to sell you a system that meets your needs. As with any major purchase, it’s a good idea to do some research so you can make good decisions that will ensure a good fit between your intended operators and their mission. This research can be done several ways: the Internet is always good but time-consuming; contacting other departments is great and can get you an unbiased review of the system(s) they may be using; trade shows are a good way to see, handle, and sometimes get to try out the hardware with the manufacturer there to answer questions you will certainly have. Searching the Internet, or “data mining,” is actually an art and some have better results than others. Remember that what you get from a manufacturer may not be as objective (they want you to buy their UAS, right?) than from other sources. But the Internet is a great place to start immediately with your research. When this issue is published online, there won’t be much time before the grand-daddy of all unmanned systems shows, AUVSI’s Unmanned Systems 2013: http://www.auvsishow.org/auvsi13/public/enter.aspx. 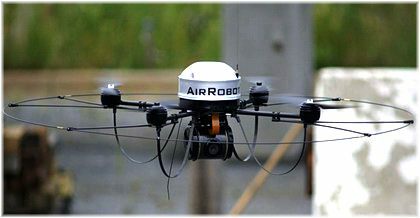 AUVSI is the Association of Unmanned Vehicle Systems International and, as the name implies, includes not only unmanned air vehicles but all types of unmanned systems, including ground robots. This year the show is in Washington, D.C., from 12-15 August. If you are able to attend, have your questions ready and be prepared to see things you never dreamed of. Best results are when the operator of the intended system is allowed to attend and be a part of the decision-making process. Examples of fixed wing and rotary wing UAS are shown. 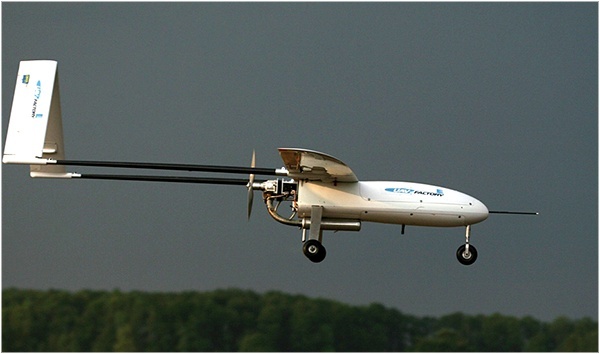 The fixed wing UAS has IC engine (for endurance) with engine behind the fuselage in a “pusher” configuration. This allows a camera payload to be mounted in front without being blocked by the engine and propeller. Figure 1 "Penguin B" UAV from UAV Factory Ltd. In this brief summary, it’s assumed that a camera of some type (daylight, infrared, hyper spectral—still image or video) will be the sensor or payload. There are other sensors available—see these at AUVSI, too—but the camera is by far the most common. In the next installment, we’ll assume you have selected an unmanned air vehicle/system. Now it’s time to go fly and use it for your mission. But wait! There’s the Federal Aviation Administration and their regulations. We’ll tell you how to get off to a good start with the FAA and how your department can become approved for UAV operations as quickly and safely as possible. Be safe out there!